Make more money and LIVE LONGER?!! Who would take that deal? So if you are on board with the idea that being happy at work is a good thing, try these steps.Choose to be happy—today. I know we all say we are going to be happy all the time, but that statement is usually followed by “when.” I will be so happy when…fill in the blank. Get a raise, build my dream home, have children, get the children through college. Choosing to be happy is something that you can do every day. If fact, being happy in the present is the only way to go. You can’t do anything about what happened in the past and you can’t live in the future either. The present is the only time you have to work with. So recognize that you deserve to be happy today and be willing to make the effort it takes to be happy today. Smile. Numerous university studies have proven that the physical act of smiling, even with no emotion attached actually made study subjects feel happier. In your career where you spend all day dealing with members who have problems or meeting planners who have an emergencies, stress is inevitable and smiling can be a challenge. I’m not so sure that fake smile without engaging any might not be powerful enough to deal with heavy duty stress. Here is a way to put a real smile on your face. Create your own gallery of smiles. The next time you are with someone you love, take a close up photo of that person’s smiling face. Now here comes the hard part—Print out the pictures. Display those happy photos where you can easily see them, perhaps in a collage frame on your desk or pinned to a nearby wall or bulletin board. When you look at those smiling faces, you will find yourself smiling in return. Then dealing with frantic or cranky people won’t be quite as stressful. Practice gratitude. In study after study researchers found that the most effective way people were able to increase their happiness was by practicing gratitude. This practice involves reflecting on what happened during your day and making a list of three things you are grateful for. When you first begin looking for things to be happy about, you will probably focus on big things: your family, your home, your pet. As you get into the habit, you will most likely start noticing all the little things in your day that make you feel good. You will remember a surprise phone call from a friend, sharing a laugh with your co-workers, or a sunny day in the middle of winter. Try out these Happiness Habits and see what works best for you. When you find a habit that makes you feel happier, recommend it to a friend or colleague. Being around happy people makes you happier, too. So let’s all make the most of those factors that influence 40% of our happiness. If you would like to use this article in your blog or newsletter, you may as long as you include the following attribution. Professional speaker, Dianne Morr, is the author of Choose Happy, 25 Happiness Habits to Transform Your Life. Since publishing that book, Dianne has been on a mission to teach everyone she meets to claim the happiness they deserve and share it with the important people in their lives. 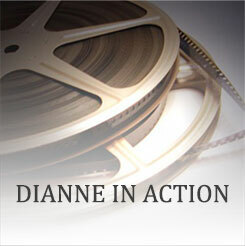 Visit Dianne’s website diannespeaking.com to subscribe to her free Happiness Matters newsletter or to learn more about her book and speeches. If you have ever spent time in Colorado, you may have had a chance to pan for gold. It is a really fun and relaxing – and I admit – touristy thing to do. In some ways it feels like journal writing on a very good day. The process goes this way. You sit by a little stream in the mountains in an area known for gold. Using a shallow pan similar to a pie tin, you begin your search with a scoop of the nearby sandy soil. You fill the pan about two-thirds full and submerge the pan in the stream. The water allows the contents of the pan to begin moving. You gently swirl the pan. The heavier materials – gold flakes and black sand will sink to the bottom of the pan and the lighter materials such as gravel and light sand float to the top. (I find it fascinating that these excess materials that need to be removed to find gold are called “overburden.”) Then you carefully pour off the water and brush the “overburden” out of the pan. Repeat as many times as it takes until nothing is left in the bottom of the pan but the fine black sand. Add just a little water to the pan and swirl it. If you are lucky you will see fine gold flakes buried in that sand. Sit by a little stream – or anyplace where you feel comfortable and relaxed. In an area known for gold – your gold is always with you, in your mind and in your heart. Prepare your pan – or in this case your notebook or journal. Begin with a scoop of sandy soil – or whatever material you can unearth from your head and onto the page. Gently swirl the pan – shake those thoughts around, play with words. Watch the overburden float to the top – as you write, you may learn what is holding you back. As your story pours out you feel your burden lighten. Carefully brush the overburden out of the pan – and out of your mind, even if you must shoulder those burdens again when you’re journal session is over. Repeat – None of those other philosophers and great thinkers figured it all in one sitting. You will see fine gold flakes – If you keep at it, you will find the treasure you are looking for. Then you can share it with the world.